Langdorf MI, Rudkin SE, Dellota K, Fox JC, Munden S: “Decision Rule and Utility of Routine Toxicology Screening of Trauma Patients” European Journal of Emergency Medicine. 2002, 9, 115-121. Squire B, Fox JC, Anderson C: “ABSCESS: Applied Bedside Sonography for Convenient Evaluation of Superficial Soft Tissue Infections”; Academic Emergency Medicine. 2005 12(7): 601-606. Hodgson D, Lotfipour S, Fox JC “Vaginal Bleeding Before 20 Weeks Gestation Due to Placental Abruption Leading to DIC and Fetal Loss after Appearing to Satisfy Criteria for Routine Threatened Abortion: A Case Report and Brief Review of the Literature”; (2007) Journal of Emergency Medicine, Vol 32, Issue 4; pp387-392. Fox JC, , Hunt M, Zlidenny A Oshita M, Barajas G, Langdorf, M. (2007) “A Retrospective Analysis of the Use of Bedside Ultrasound in the Diagnosis of Acute Appendicitis”; Western Journal of Emergency Medicine, Vol. 8: No. 2, Article 2. Fox JC, Cusick, S, Scruggs W, Henson T, Anderson C, Barajas G, Zlidenny A, Langdorf, M McDonough, J,: “Educational Assessment of Medical Student Rotation in Emergency Ultrasound” (2007), Western Journal of Emergency Medicine, Vol 8: No. 3, Article 5. Scruggs W. Fox JC, Potts B, Zlidenny A, Potts B, McDonough J, Anderson C, Larson J, Barajas, G, Langdorf, M: “Accuracy of ED Bedside Ultrasound for Identification of Gallstones: A Retrospective Analysis of 575 Studies” (2008), Western Journal of Emergency Medicine, Vol. 9: No.1, Article 1. Bahner D, Blaivas M, Cohen H, Fox JC, Hoffenberg S, Kendall J, Langer J, McGahan JP, Sierzenski P, Tayal VS: “AIUM Practice Guideline for the Performance of the Focused Assessment with Sonography for Trauma (FAST Examination)” (2008), Journal of Ultrasound in Medicine. Feb:27(2): 313-8. Ibrahim D, Patel N, Gupta M, Fox J, Lotfipour S: “Ileocecal Intussusception in the Adult Population: Case Series of Two Patients”, Western Journal of Emergency Medicine. 2010;197-200. Fox JC, Anderson CL, Ahmed S, McDonough J, Wiechmann W, Waters M, Barajas G, Lotfipour S: “Effect of a Medical Student Emergency Ultrasound Clerkship on Number of Emergency Department Ultrasounds”, Western Journal of Emergency Medicine. 2010; 11:31-34. Fox JC, Bertoglio KC. “Emergency Physician-Performed Ultrasound for DVT Evaluation”. Thrombosis, 2011:938709. Epub 2011 Mar 6. Fox JC, Richardson A, Lopez S, Solley M, Lotfipour S. “The Implications and Approach to Incidental Findings in Live Ultrasound Models”. Western Journal of Emergency Medicine, 2011;12(4):472-474. Doubilet P, Benson C, Bourne T, Blaivas M, Barnhart K, Brown D, Filly R, Fox JC, Goldstein S, Kendall J, Lyons E, Porter M, Pretorius D, Timor-Trisch E. “Diagnostic Criteria for Nonviable Pregnancy Early in the First Trimester”, The New England Journal of Medicine, 2013 October 10. American Institute of Ultrasound in Medicine. AIUM practice guideline for the performance of native renal artery duplex sonography. J Ultrasound Med 2013; 32: 1331–1340. doi:10.7863/ultra.32.7. American Institute of Ultrasound in Medicine. AIUM practice guideline for the performance of a thyroid and parathyroid ultrasound examination. J Ultrasound Med 2013; 32: 1319–1329. American Institute of Ultrasound in Medicine. AIUM practice guideline for the performance of a focused reproductive endocrinology and infertility scan. 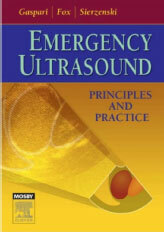 J Ultrasound Med 2012; 31: 1865–1874. American Institute of Ultrasound in Medicine. AIUM practice guideline for the performance of a transcranial Doppler ultrasound examination for adults and children. J Ultrasound Med 2012; 31: 1489–1500. American Institute of Ultrasound in Medicine. AIUM practice guideline for the performance of a musculoskeletal ultrasound examination. J Ultrasound Med 2012; 31: 1473–1488.